Renaissance Hotels, known around the world for helping the next generation of business travelers discover unexpected cultural experiences, will present another memorable performance for their guests through its partnership with AEG and Billboard, the leading global destination for news, charts, trends and innovation in music. As part of the sixth year of a 360°, multi-platform music program, the Renaissance Long Beach Hotel presents an exclusive showcase by A-Trak for The Navigator Live – a live-event series and television show that invites guests and viewers to explore different cities through the eyes of touring musicians – the ultimate modern business traveler. 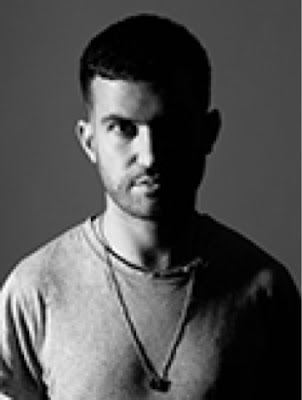 A-Trak will perform live at the Renaissance Long Beach Hotel on Thursday, June 25, 2015, and will share his personally curated guide to his favorite local city finds that provide inspiration for his music and creativity. The Navigator Live is produced in collaboration with AEG and will air on AXS TV, with highlight clips available on www.youtube.com/renhotels/. Full episodes of The Navigator Live will also play in-room at Renaissance properties. Neighborhood locals and Marriott Rewards® members are invited to attend The Navigator Liveperformance by participating in Billboard and Renaissance Hotels’ social-media competitions that will run prior to the event. These tickets will include VIP experiences such as exclusive behind-the-scenes access and artist meet-and-greets. Guests can book a stay and check out the full lineup of performances and promotions planned throughout the year at Renaissance Hotels by visiting www.renhotels.com/events, www.facebook.com/renhotels and AXS.com. A very special thanks to Jennie O'Hagan for allow us to share this awesome news with our readers!